At Barrowford Nursery we aim to encourage, motivate and optimise the early year’s experiences of the children in our care. Our rooms are welcoming, homely areas, where we can nurture your children from months old right up to five years. 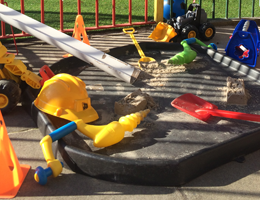 We are surrounded by beautiful countryside and boast our own outdoor play area for the children to explore. Barrowford Nursery has been providing Outstanding childcare to the families of Barrowford and the surrounding area for over 30 years. Our nursery is managed by mother and daughter team, Marjorie and Karen, who are supported by a dedicated, long serving deputy manager, Elaine. 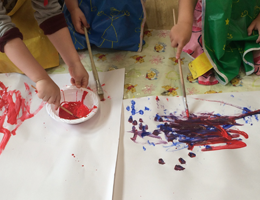 We take pride in our professional nursery team of Early Years Practitioners, who are passionate and enthusiastic about the learning and development of young children. 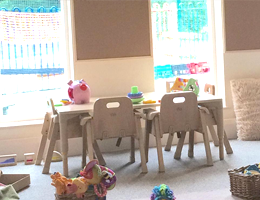 Our nursery is situated in pleasant surroundings on the edge of Bullholme playing fields, situated in the heart of the village of Barrowford. We have a private car park which has ample parking to provide a safe place for parents and carers to bring their child to nursery. Copyright (c) 2016 Barrowford Pre-School Nursery. All rights reserved.